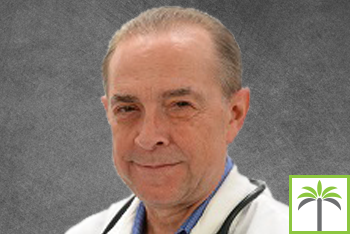 With 35 years of experience as a family practice physician, Dr. Tomchik is a graduate of the Pritzker School of Medicine at the University of Chicago, trained in Family Practice at the University of South Carolina in Columbia, South Carolina and completed his residency in Preventive Medicine at the University of Michigan. His clinical experiences have ranged from providing basic primary care services in outpatient settings, to emergency room care and inpatient hospital services. He has provided family planning services such as prenatal care, delivering children as well as hospice and patient in-hospital care. He has provided subspecialized medical care for patients with rheumatologic disorders. He has conducted clinical research as a Principle Investigator and clinician for pharmaceutical companies in hypertension, diabetes and neurology. His studies at the University of Miami, School of Medicine, were published in the Journal of the American Medical Association in 1993. Past positions have included serving as Chief of Staff at the Crow Agency Indian Hospital in Montana, Director of the Health Department in Kalamazoo, MI and Lee County, FL and Medical Epidemiologist for the Broward County Health Department in Fort Lauderdale, FL. Dr. Tomchik also has also worked as the Medical Director of the Memorial Hospital Primary Care Clinic of Hollywood, FL and Regional Medical Director for Humana in Broward County.